Leave room for surprises. Three months before their wedding, Cassandra Warren and Jesse Jones experienced a rather unexpected plot twist within their planning journey–and it was for a very sweet reason. While Warren rapidly sent invitations to the couple’s growing guest list in March, she had accidentally mixed up a few details while addressing her aunt and uncle, who lived just 20 minutes away. What ensued was a series of events that would end with a heartwarming gesture from a stranger, who instead received the invitation. One week later, Warren received that particular invitation back, with a handwritten note scrawled on the outside of the return envelope. Inside the envelope was a $20 bill; scribbled elsewhere on the envelope was the phrase, “Live long and prosper,” perhaps a nod to the Star Wars and Harry Potter symbols Warren and Jones, 23, had included on their invitation. The pair used the $20 toward their bill for a dinner out the next night with a friend who was set to be deployed overseas with the military. They then shared their story with the Washington Post, prompting the tale to go viral this week. 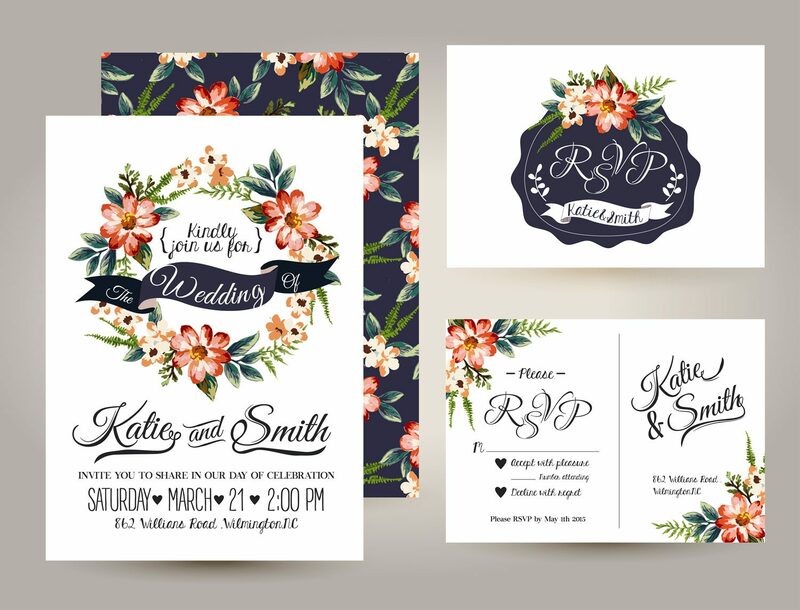 The pair will have several random “fandom” elements as part of their ceremony to showcase their personalities and interests, including chocolate frogs from Harry Potter as wedding favors and a Star Wars garter that says “May the force be with you” on it. 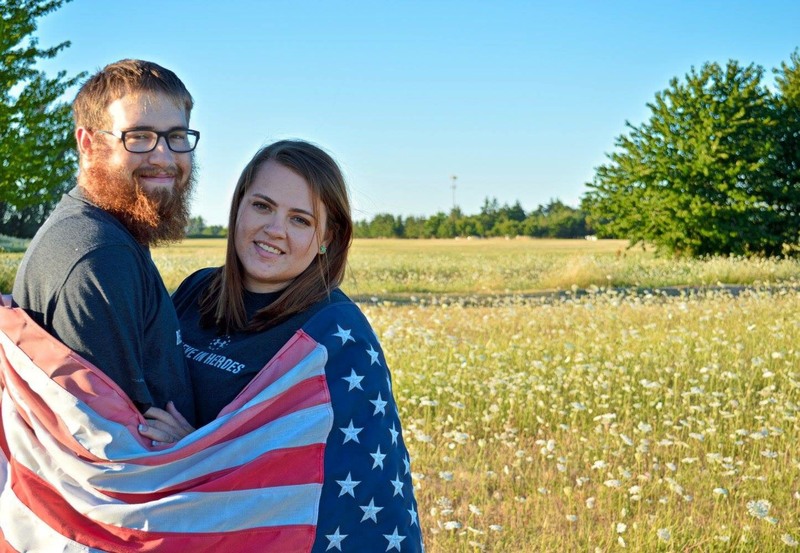 The soon-to-be newlyweds even plan to walk back down the aisle to the “Death March” from Star Wars after exchanging vows. As for the anonymous, wise would-be guest who sent Warren and Jones well wishes and money for a fun dinner out, Warren made sure that she knew how much her words had meant. Find your wedding vision by taking The Knot’s Style Quiz, here. 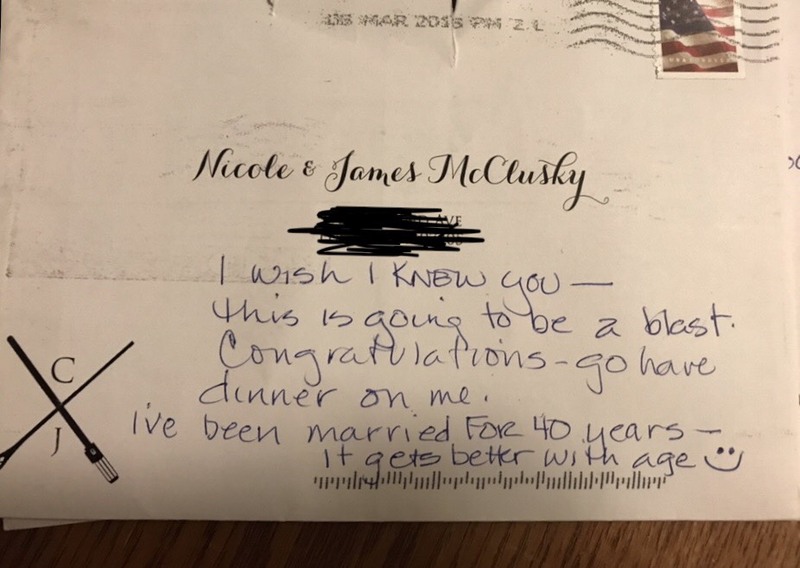 Be the first to comment on "Bride Sends Wedding Invitation to Wrong Address and Gets an Amazing RSVP Card in Response"